Our expert technicians at Precision Audio in Bainbridge and Thomasville install mobile video entertainment systems that deliver hours of exciting video entertainment to your passengers. It’s also about safety. Whether driving across town or across the country, a mobile video entertainment system from Precision Audio helps keep rear seat passengers occupied while you focus your attention on the road. If you and your family spend any time on the road at all, you’ll appreciate the rear seat entertainment options available at Precision Audio. At Precision Audio, we offer and install replacement headrests that feature integrated LCD video screens with options such as integrated DVD players, USB ports and media card slots to give you choices on the ways in which you connect and display video content as well as the use of wireless headphones to listen. The replacement headrests identically match the factory upholstery so many people assume these are factory-installed. Because the original headrests are removed and returned to you, they can easily be reinstalled in the vehicle upon sale or lease return. Precision Audio also offers overhead LCD video screens mounted in the headliner that flip down when in use and fold away neatly when not in use. These mount centrally in the vehicle’s headliner and are anchored to the roof truss supports with metal brackets ensuring secure mounting of the unit should there be a crash. 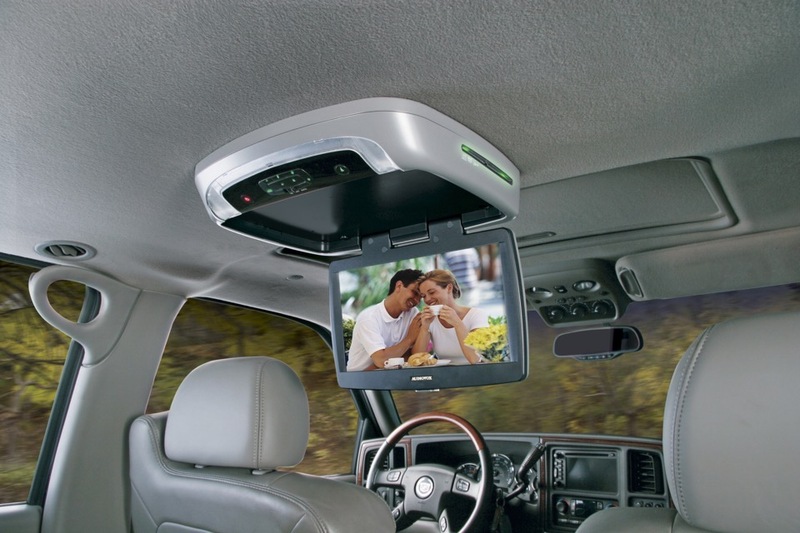 Overhead screens are typically larger than headrest screens, starting at 10 inches or larger, and feature options such as integrated DVD players, USB ports, SD media card slots and built-in video games. Most overhead systems also include wireless headphones and a remote control. 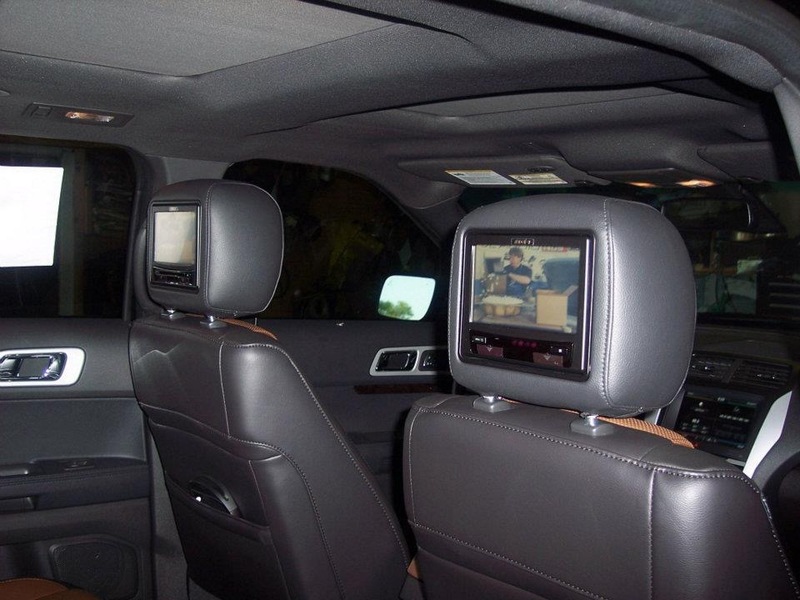 If you vehicle has an existing overhead LCD video screen from the factory, our expert installation technicians at Precision Audio can connect these screens to a new in-dash multimedia radio to deliver DVD or other video content to those screens. Ask our product experts for compatibility with your vehicle’s existing rear seat entertainment system when shopping for your new multimedia Alpine, Kenwood or Pioneer radio. If you’re unsure which rear seat entertainment options are appropriate or available for your vehicle, it’s no problem. Visit or contact us today and one of our expert product specialists will help you choose the right mobile video system to ensure ease of use and passenger safety. Visit Precision Audio in Bainbridge or Thomasville today or call (229) 246-2111 (Bainbridge) or (229) 233-5001 (Thomasville) to schedule a no-cost consultation for your vehicle’s rear seat entertainment needs.